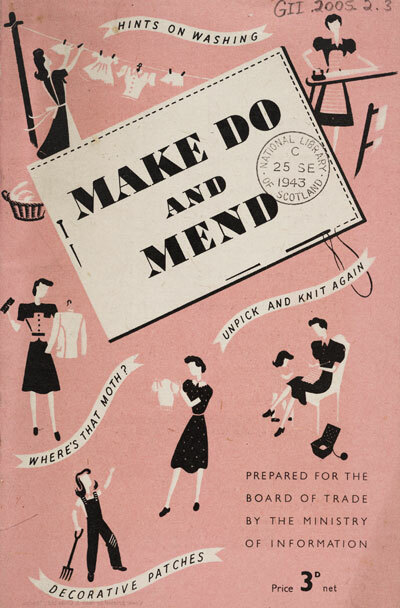 A variety of collections related to the Second World War, including archives on the subject of propaganda, is available at the National Library of Scotland (NLS). Propaganda can be defined as the spreading of a specific message, whether it is used politically to influence public opinion or used to sell products or an idea. Within NLS manuscript collections are the papers of Baron Ritchie Calder (NLS shelfmark: Deposit 370/155-9). Among them are files relating to his time as Director of Plans at the Political Warfare Executive (PWE), a clandestine British wartime organisation formed in 1941 under the instructions of Winston Churchill. 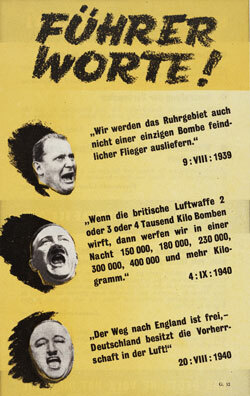 The PWE created black propaganda in the form of BBC radio broadcasts to occupied Europe. 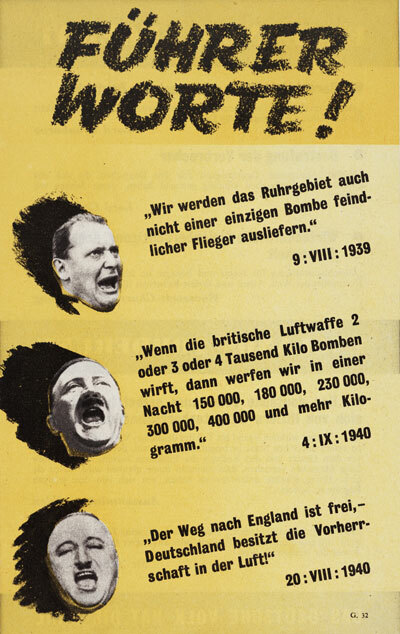 It also produced and dropped millions of propaganda leaflets (written in appropriate languages) over Nazi-occupied Europe. Among the Official Publications collections at the Library you can find examples of white propaganda, intended for the Home Front. Produced chiefly by the Ministry of Information, white propaganda was also published by various ministries and departments, and generally took the form of practical information. Anyone interested in this type of propaganda will find several examples on these web pages. You should also search our printed catalogues in the Library, as well as using our search service, Library Search, for publications produced by the Ministry of Health, Ministry of Food, and the Ministry of Home Security, among others. In the manuscript collections, you can find the subject of Home Front propaganda in Scotland in the papers of the Lord Advocate of the time, Lord Cooper of Culross. Questions relating to wartime morale in Scotland arise among the papers of the Rt Hon Thomas Johnston (Acc.5862), Secretary of State for Scotland, 1941-1945, and those of the Rt Hon Arthur Woodburn (Acc.7656), Johnston's wartime Parliamentary Private Secretary. Please contact us for more information about these collections.